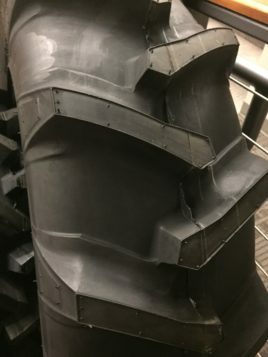 Single Long Bar design with wide overlapping lugs, angled for maximum traction while providing minimal deep rutting unlike imports with 45 degree or solid assemblies such as MachII or Rhinogator . Deep tread and excellent tread wear and durability. Tread Design offers maximum cleaning and side hill slip resistance. 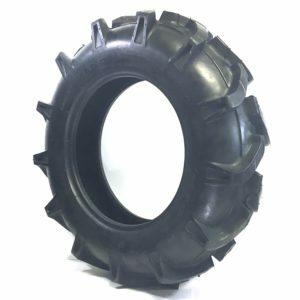 Designed to deliver maximum traction in constantly wet conditions, improved self-cleaning properties over competing brands of Irrigation tires such as BKT, Firestone, and many imported brands. 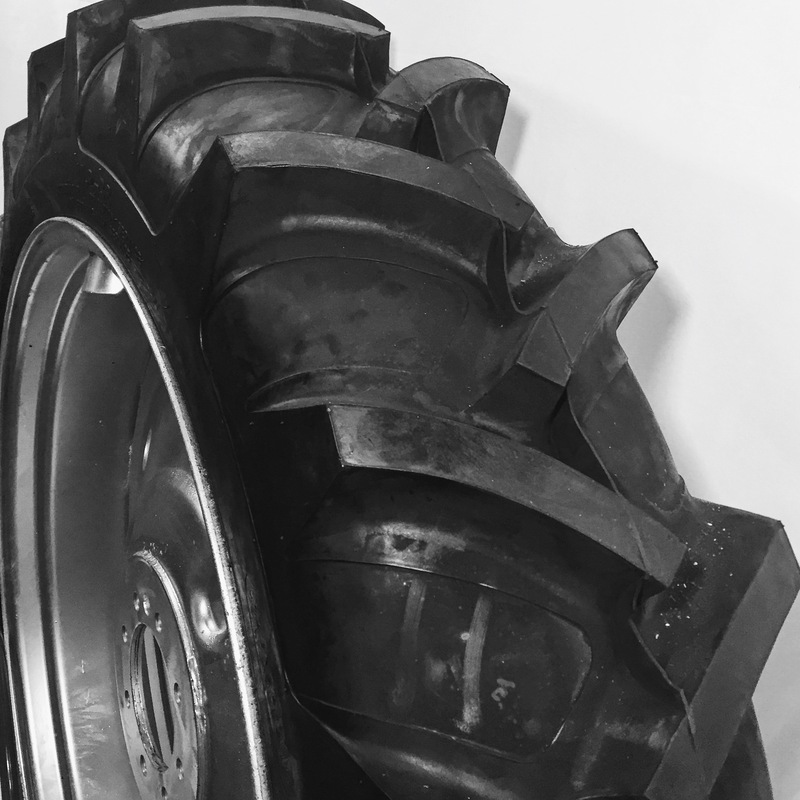 Rainmax 11.2x38 Tires offers approx a 10-15% improved flat plate foot print over imported brands, offering you less wet rutting, resulting in improved center pivot traction through wet waterways. Excellent tire for heavy end and swinging towers on all irrigation systems.